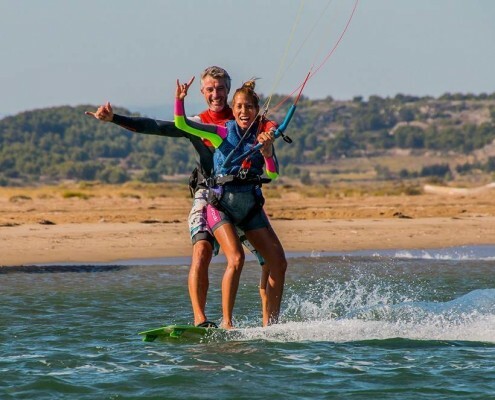 With two center and the possibility to learn and progress in the deep water or in the sea, Gruissan is a wonderful place to practice Kitesurf ! 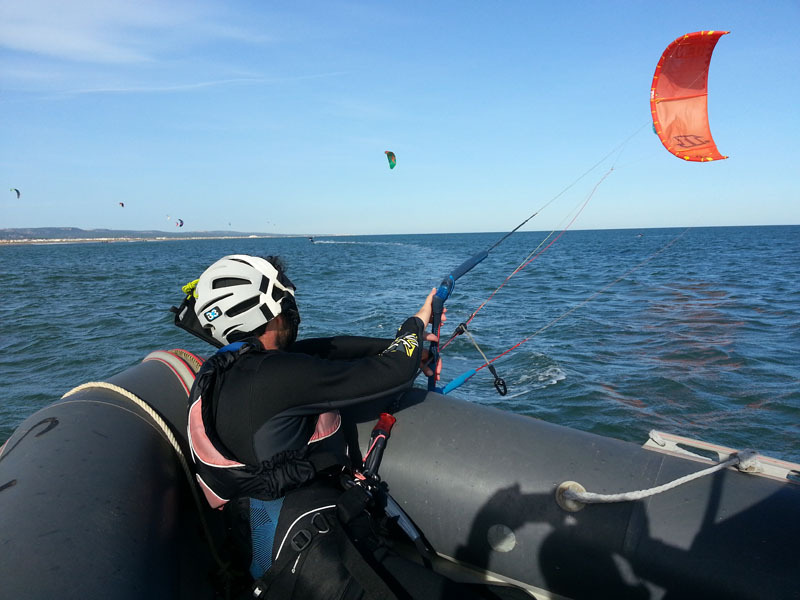 offers several ways to practice kitesurf in complete security ! 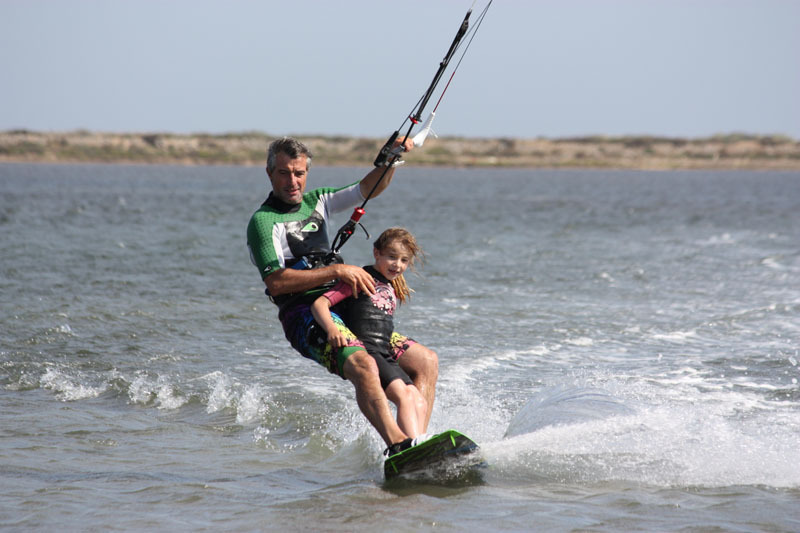 The school’s chalets’ are on the pond of Grazel’s shores, pond exclusively reserved for kitesurfing. To get there, you’ll have to follow the Camping’s direction and once you get through it, take the little road for 1.5 km. The school’s opened everyday from 10 to 13 am and from 2 to 5 pm. You can start lessons whenever you want. The student’s progression depends on his/her sports’ level and on his/her physical conditions but also on the weather during the classes. 2 x 3 hours : Introducing the equipment. 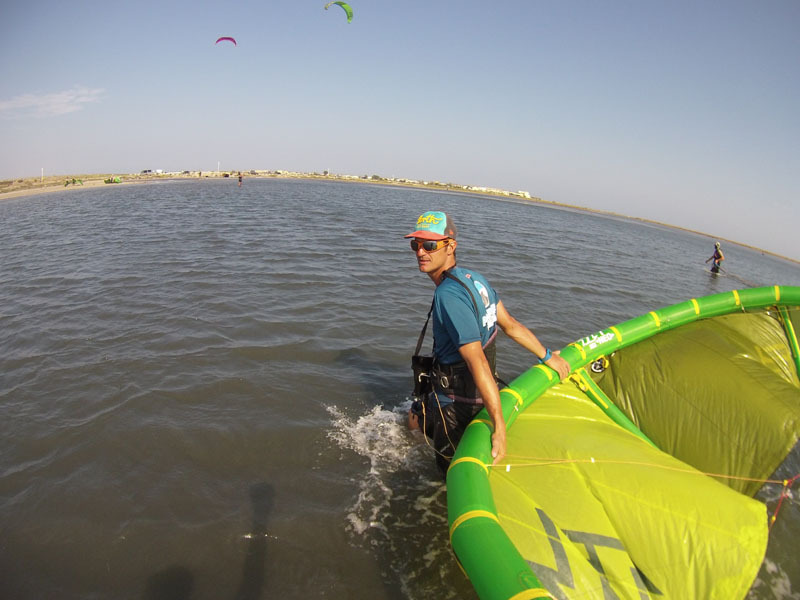 Learning the basics, piloting in the water without the board, discovering the flight window, static and dynamic piloting, towed swimming, piloting withe one hand. Simulation of starts without the board and first start trials with the board. 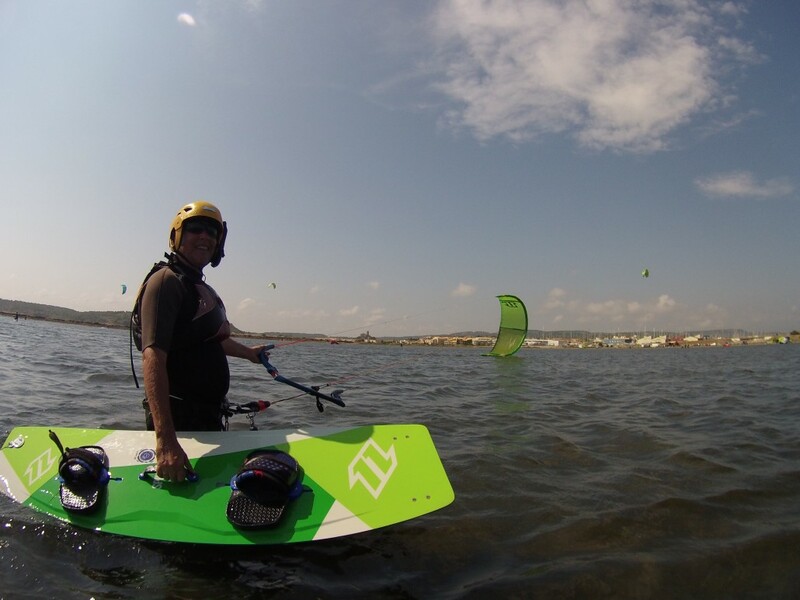 3 x 3 hours :Like the first one but it also includes the first starts’ control, boosting the kite, get your body balanced on the board and basics of riding up wind. 5 x 3 hours : Like the second one but it also includes the choice of your equipment and has a goal of autonomy. If you’ve already taken lessons, we will adapt our teaching skills on your level. A flat water spot, always swept by the tramontana, along the wild beach of La Vieille Nouvelle. 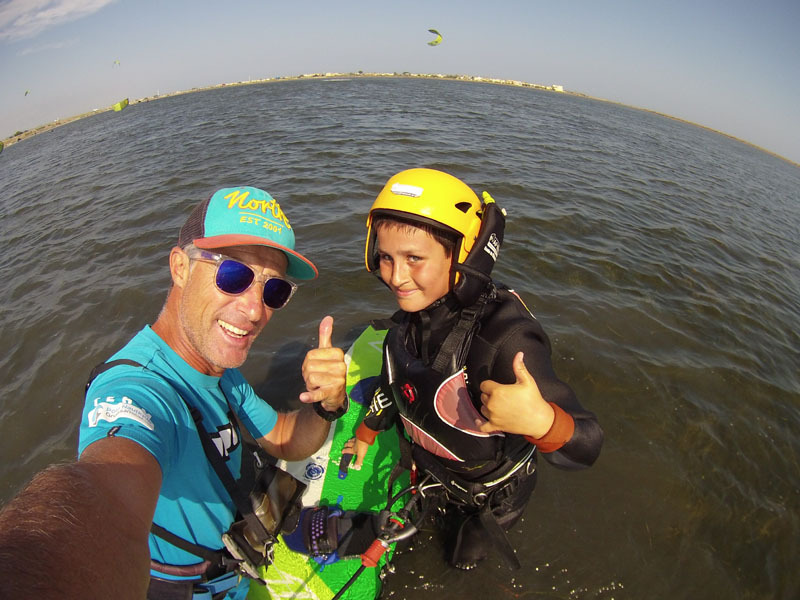 Supervision by boat, with a radio link, new equipment and classes led by Jérôme SERNY, the founding director of the center, a pioneer of kitesurfing in France, and an official tester for Kitesurf Magazine. His amazing level is your guarantee for a limitless progression ! Beginners : We will follow the same progession than on the pond. The classes will be in the morning on 3 X 3 hours. Advanced : You will choose a number of classes of 4 hours. 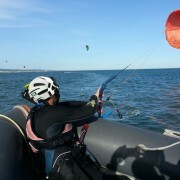 Towed swimming, getting the board back, riding up wind, slide and jumped transitions. From first jumps to unhooked freestyle, you decide ! 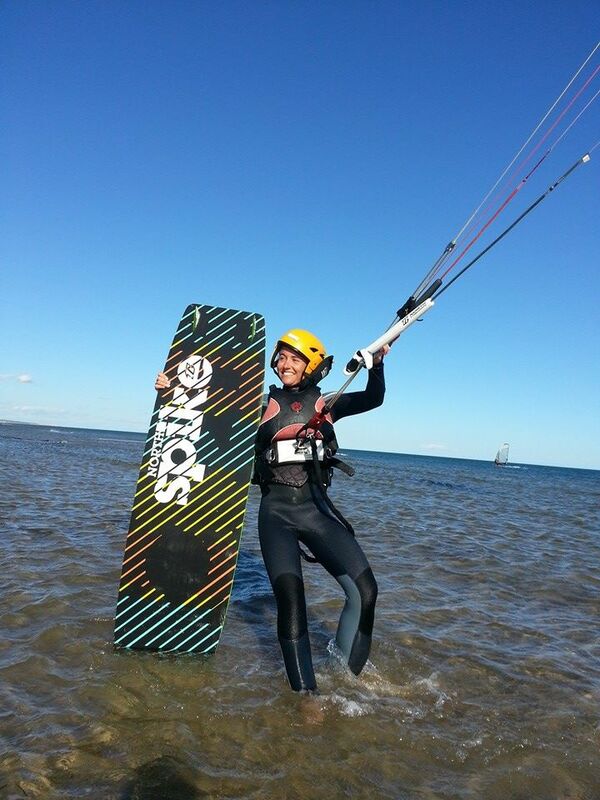 This spot is wonderful to discover speed and slide sensations in kitesurf. With your own equipment or the school’s. The only condition will be to have a Kite Pass, already delivered in a former course, or after a lesson in our school to check your autonomy. Minimum level : first rides. 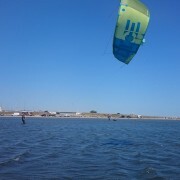 Watched kitesurfing is at the same time than the lessons. Booking is an obligation and can be made by phone. You will stay under the instructors’ responsability so a helmet with radio link will generaly be available. 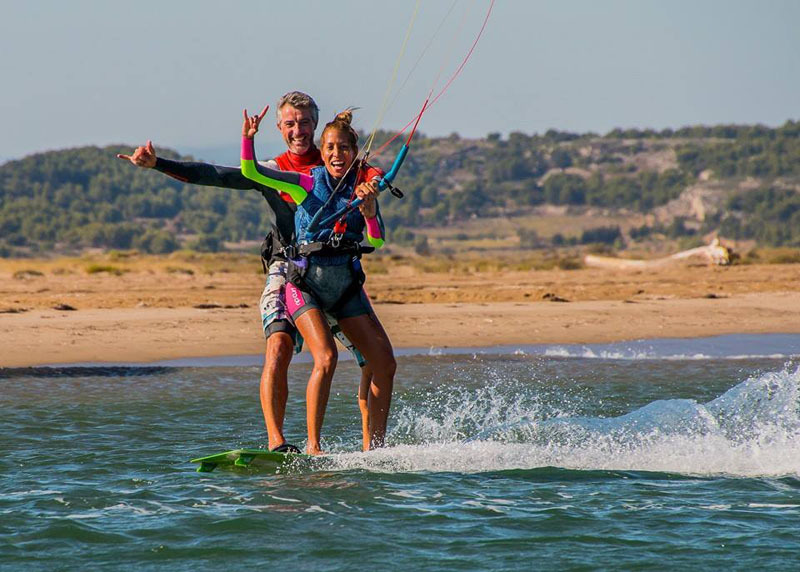 The new highlight this year is the possibility to ride with an instructor on the same board to discover the pleasure of kitesurfing in a few seconds. This product is available from 6 years old and under 55 kg. It is meant for people from 6 years old and under 55 kg (= 121 lbs). While getting through the pond, you’ll discover piloting with assistance, the speed sensation and, for the bravest, you’ll start jumping. First ride in tandem : 25 euros for 15 mn. This year, our nautical center introduce the new concept of “Foil” in its offer ! 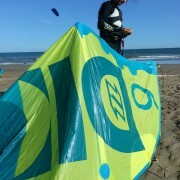 The concept is only opened for autonomous kitesurfers. This year, the nautical base arms itself with foil. 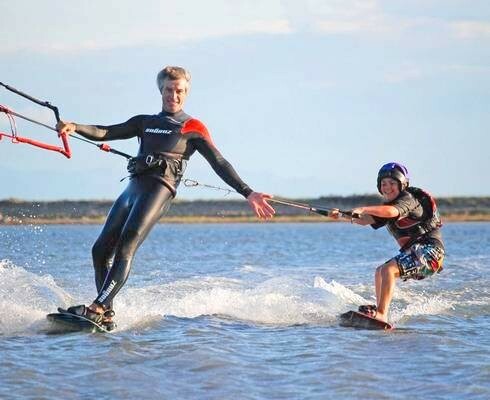 This sport is only for already autonomous kitesurfers. 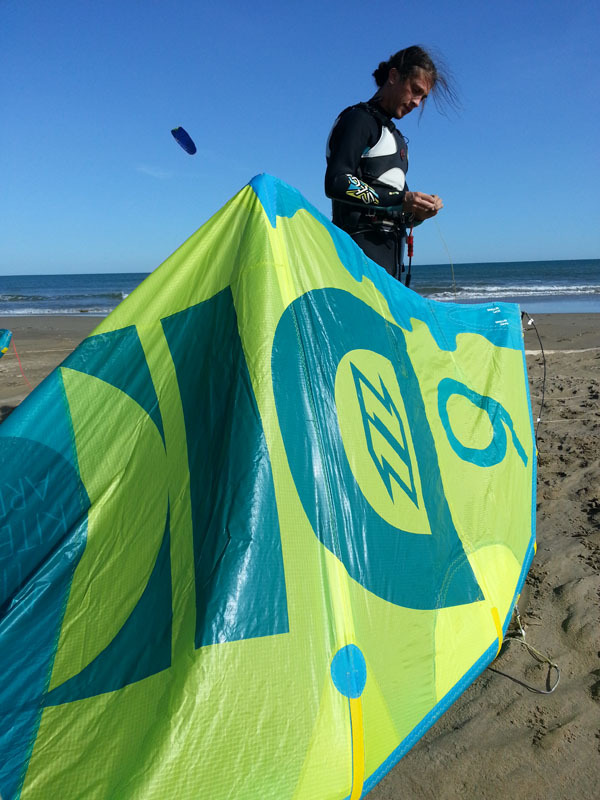 Equipped with the FOIL NORTH 2015 initiation, accessible thanks to its balance, its moderate speed and especially its two linked kites that reduce the shocks, the center offers lessons in open sea, where booking is an obligation. 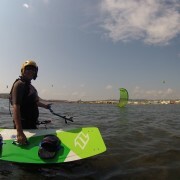 FOIL Initiation : 180 euros for 2 hours. 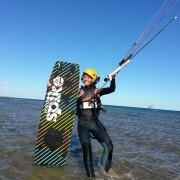 All the students need to have a aerial liability insurance to practice Kitesurf. 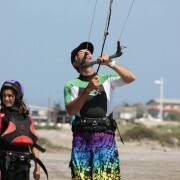 Either, you prove it with a certificate of insurance mentionning a cover by a Kitesurf aerial liability insurance. Or, a school insurance . Navigate at your own rate in complete security ! 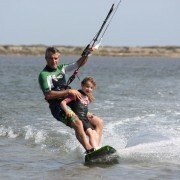 It is possible to rent kitesurfs on our two bases. All you need is having an autonomous level. 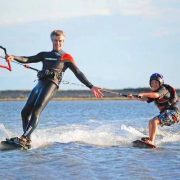 If you don’t have any certificate, you can be attested by one of our instructors as able to practice without any lesson. A deposit will be required and the person who rents the stuff is responsible of the equipment and for any loss or deterioration. Renting is for 3 or 4 hours, at the same time than classes. 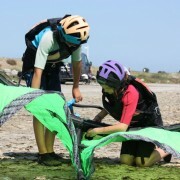 Booking is recommanded and you have the possibility to add a wetsuit or a harness. Boards : Gonzales, Spike and Team series. 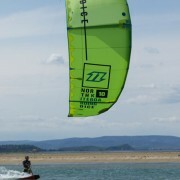 This year is our third year of working with the world leader North kiteboarding. Each year, our equipment is renewed. Then we can offer you the latest stuff on the market. 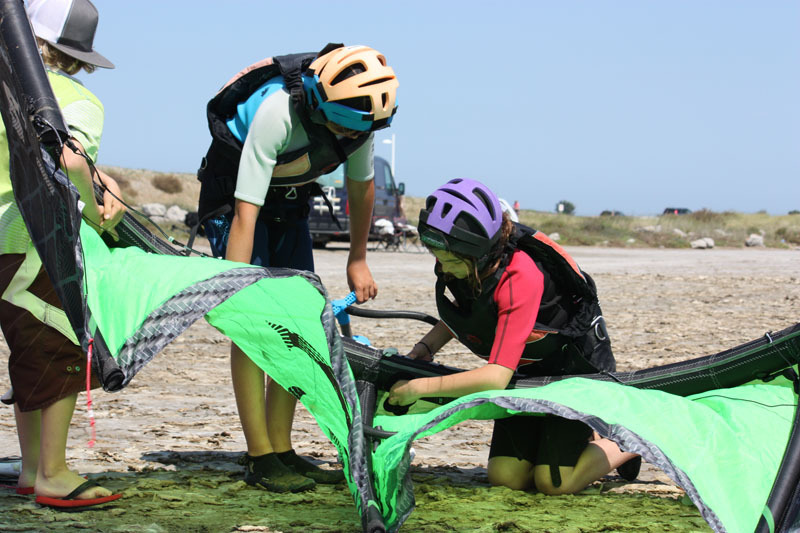 In 2015, the NEO range, which represents the most adaptable kites, will be used for our lessons. 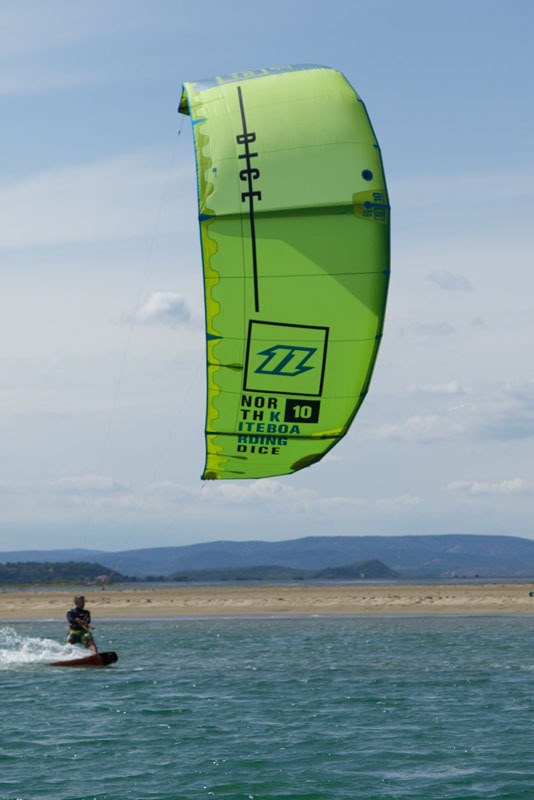 For 2015, we will teach on the pond with the NEO range that has the most versatile kites, both accessible and safe. 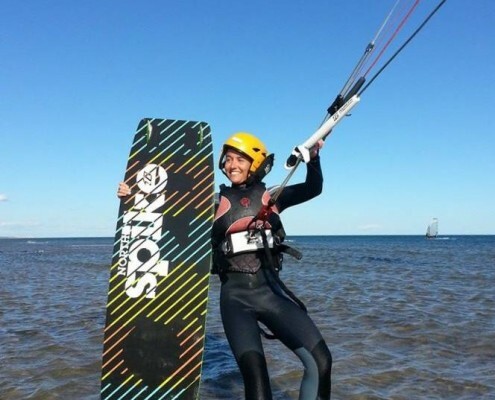 On the sea, you’ll also have the possibility to try the DICE kites, the new highlights on the freestyle program and the REBEL kites for speed and jumps’ lovers. 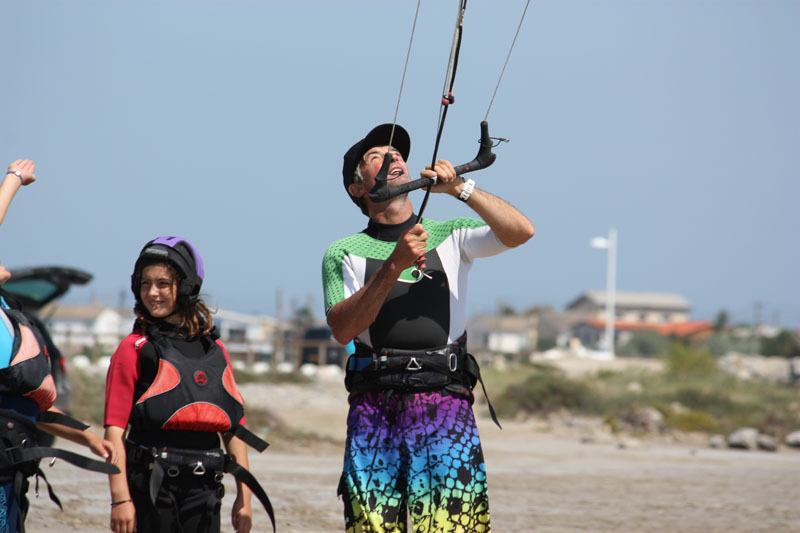 As for the kites, the center offers you the possibility to learn and progress with all the ranges of North Kiteboarding, especially with the Gonzalez and the Spike. 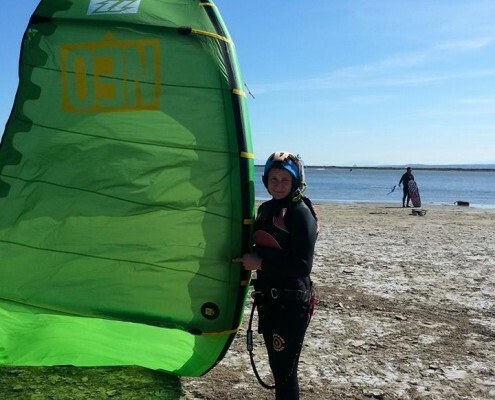 All sizes are available to permit everybody to progress and are adapted to any wind condition. 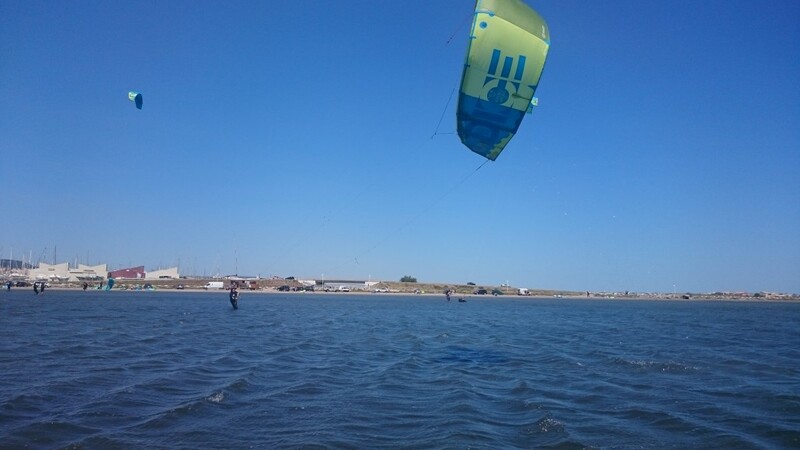 The kitesurfers with an advanced level will have the opportunity to try the flagship styles of the brand : the Team Series for freestyle and the WAM to work on maneuvers.